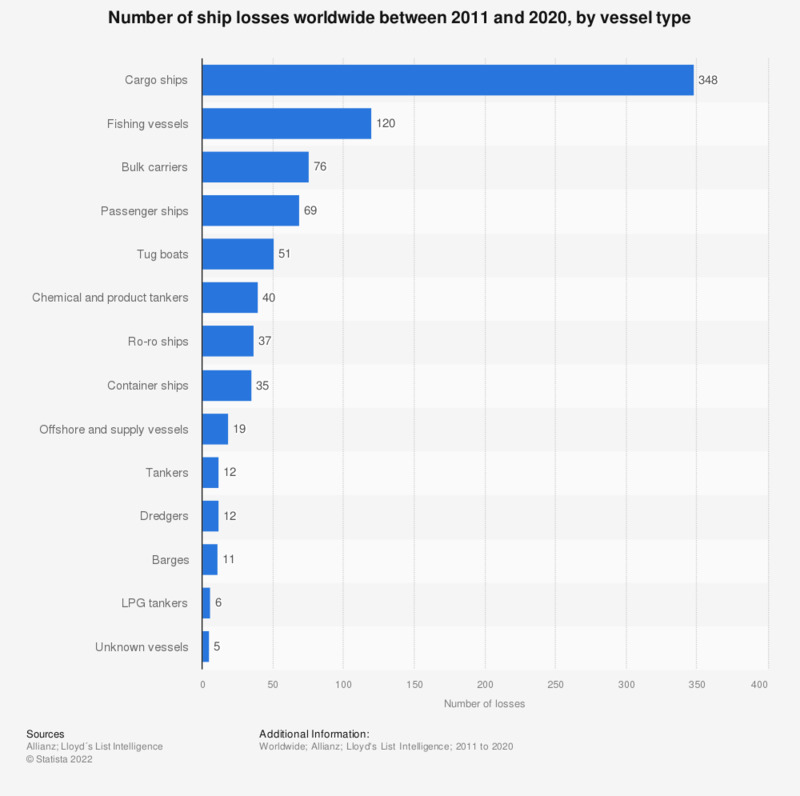 The statistic shows ship losses worldwide between 2008 and 2017, by vessel type. During this period, the number of tug boat losses came to 59. In 2017, the most perilous regions included the waters off the Southeast Asian coast, as well as East Mediterranean and Black Sea waters.